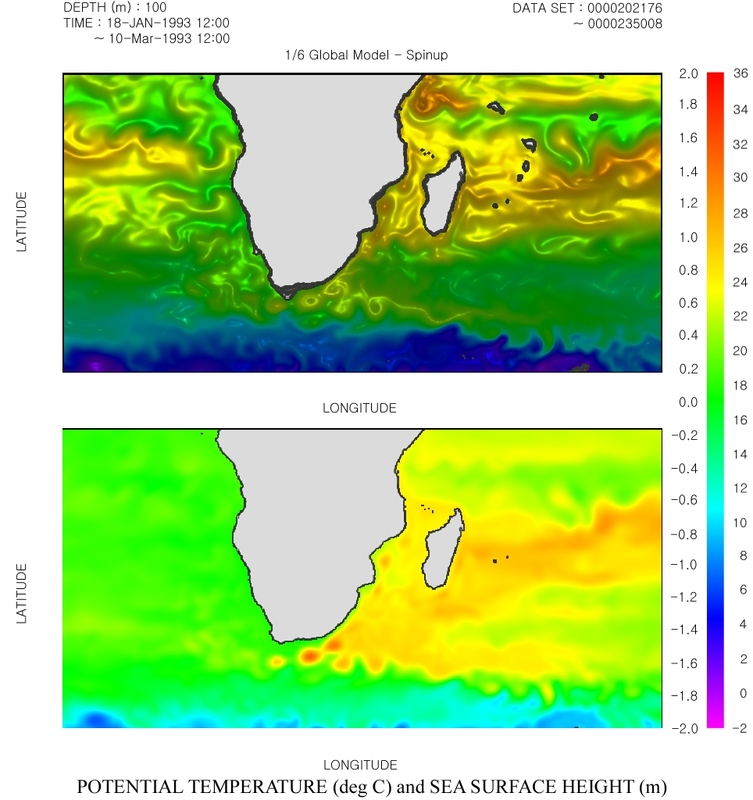 Left image shows potential temperature and sea surface height. Understanding the general circulation of the ocean global climate system is critical to our ability to diagnose and predict climate changes and their effects. Additional images from the Earth Simulator Center. Our Computational Visualization Center, collaborates with Earth Simulator Center(Dr. Tetsuya Sato), Yokohama, Japan for extremely large the datasets (22GB). Their transient oceanographic dataset consists of 5 variables: temperature, salinity, U, V, W (velocity) and 4 timesteps spread over 3days. Our parallel visualization software has been applied to a range of oceanographic datasets, and several volumetric rendering and movies have been published summarized on our project webpage for the Earth Simulator Project.